Eugene “Gene” J. Brennhofer, age 88 of Grand Rapids, MN formerly St. Paul, MN passed away peacefully on August 12, 2018. Eugene “Gene” J. Brennhofer was born March 13, 1930 to John and Dorothy Brennhofer. He grew up with siblings, Phyllis, Jack and Dave and graduated from North St. Paul High School. Gene was drafted and graduated from Fort Benning, Georgia in September 1951. 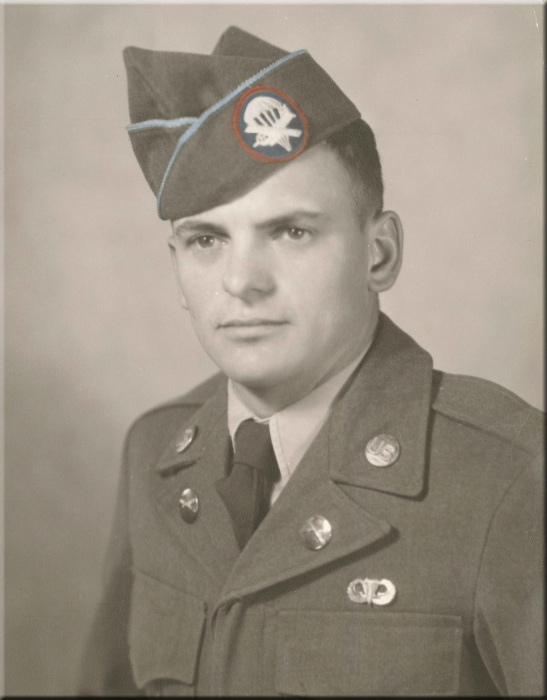 He served his country in the Korean Conflict as an Army paratrooper. Gene was injured and returned home in 1952. Upon returning from Korea, Gene was hired by Lloyd Lee and worked as an ADT security guard. He then took a job at an insurance company and realized he was not a desk guy, so he became a mailman. At age 40, Gene received a disability retirement from the post office. In 1957, Gene married Rose Richie and they had three children, Brenda, Mark and Art. Gene moved to Grand Rapids, Minnesota in the late 70’s where he built his log cabin on Big Splithand Lake with his sons, Mark and Art. He met and spent 20+ years with Evelyn Hoyne. 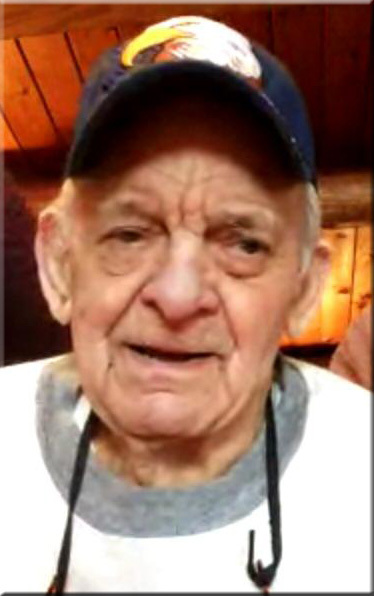 Gene was an avid outdoorsman and enjoyed deer and grouse hunting, going fishing both summer and winter, for sunfish and playing cards in the ice fishing house while waiting for a bite. He and Evie knew the best fishing spots on Big Splithand Lake and spent every day enjoying life on the lake. He always used to say that they bite from 9:00 a.m. to 9:05 a.m. Gene loved to cook. He had active taste buds and could tell you exactly what your food needed, whether you wanted to know or not. His many recipes will be a treasure to his children for many years to come. He loved to make smoked fish, venison sausage and virtually all types of foods. When Gene Dougherty moved in a few doors down they became close friends and seem to be going and doing things together all the time. If one needed help the other one was there to help. The two of them also seemed to find mischief a few times too. As Gene became older, many of the people he knew from the roughly 40 years he lived there were also getting older and began passing away, he was one of the last ones left still living there year around. Unfortunately as the years went by Gene became unable to live on his own. With the help of his children he moved down to a memory care home in North Branch where he lived the past six months. He enjoyed the staff there, joking with them and showing them his sense of humor. He loved to talk with the staff about his “big dog”, Buddy and also “Kitty” his cat. Unfortunately Gene's time on earth came to an end on August 12, 2018 when he passed away quietly with his family at his side. He will be missed by everyone that knew him. Gene is preceded in death by his parents, John and Dorothy; brothers, Jack and Dave. He is survived by his children; Brenda (Hank) DaBruzzi, Mark (Tina) and Art (Cheri); Grandchildren: Donald Brennhofer (Corinne), Richard (Karen) Brennhofer, Henry (April) DaBruzzi, T.J. (Laura) DaBruzzi, Bob DaBruzzi, Denise DaBruzzi (Steven); 7 Great Grandchildren; Sister, Phyllis Cunningham; extended family and four legged companions, Buddy and Kitty. Special thank you for the excellent care provided by the Ashton House Staff at Ecumen of North Branch and Ecumen Hospice. Visitation will be held from 4-7 p.m. until time of Prayer Services and Military Rituals on Wednesday, August 15 at Mattson Funeral Home, 343 N. Shore Drive, Forest Lake, MN. Interment at 12:45 p.m. on Thursday at Fort Snelling National Cemetery, Assembly Area #4.